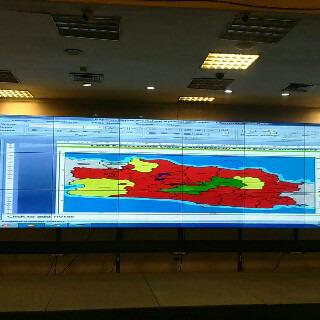 Isi Iklan*: Sinar Mitra Solutions menjual Seamless Splice LCD (Video Wall), LED Display, Projector, bracket projector, screen projector, Video Conference System, Video / Data Monitor, Digital Signage. 5000 Series:Bullt-in digital mixed matrix; Support single screen display(repeat images);Full screen display(one signal);Any combination of display. Splicing max 4 time. 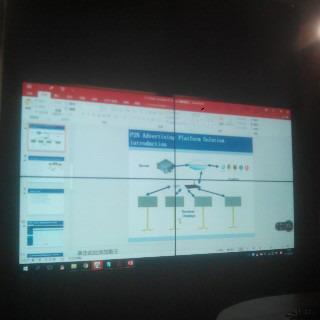 Widely used in the shopping mall , enterprise exhibition , conference room , etc. HARGA FRANKO JAKARTA DAN HARGA SEWAKTU -WAKTU BISA BERUBAH TANPA ADANYA PEMBERITAHUAN LEBIH DAHULU.